Metals… there seems to be a lot of emphasis on them in films nowadays. Not that there are films out there about smelting and how steel alloys are crafted, but you can’t help but notice how the combination of metals and humans has made some serious money in the past few years. OK, this is a really odd and tenuous link / introduction to the review, but you get my point surely? Robert Downey Jr.‘s Iron Man and all of his related films have been a major earner in Hollywood. A major earner. They’ve taken comic book movies to the next level and showed the immense drawing power of these films. So what happens when you upgrade your iron? How about we put some steel into the mix? And switch from Marvel to DC? And add Christopher Nolan and Zack Snyder into the mix? Let’s see how Man of Steel stacks up shall we? Man of Steel is of course the story of Superman. The superhero that flies, shoots heat lasers, has x-ray vision, is super strong, is near invincible etc. etc. This is one of the main reasons I’ve never had any affection towards him from a comic book fan’s perspective. He’s just got too many damn powers. And his weakness? Kryptonite… an asset that everyone seems to have in his world. I won’t lie; I’ve never read a single page or panel of a Superman comic, so this review isn’t coming at you from a fanboy perspective. What do you think this is? A Marvel film review!? Nor can I attest to being a fan of Christopher Reeve‘s outings as Superman. If I’m honest, the closest I’ve got to this franchise was Lois & Clark: The New Adventures of Superman with Dean Cain and Teri Hatcher. Yeah, I admitted it. What of it?! Man of Steel is the reboot the series has been yelling out for. It tells the obligatory origin story, but in a refreshing way. 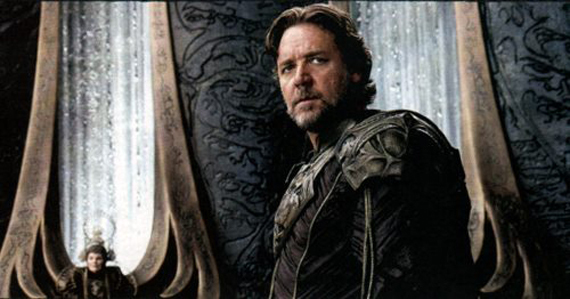 We see little Kal-El (Henry Cavill) on Krypton being sent away by his parents Jor-El (Russell Crowe) and Faora-Ul (Antje Traue) as they aim to let him thrive off on Earth before Krypton implodes / he’s taken by the marauding General Zod (Michael Shannon). We skip a load of years and see his life with Jonathan (Kevin Costner) and Martha (Diane Lane) Kent. What’s refreshing is that his life is filled in through flashbacks throughout the film, which allows the central plot to progress (him coming to terms with his powers, discovering the hero inside, yadda yadda) whilst also colouring in the background. I liked it. The story is quite straight forward in many ways, and is probably a bit cliché / has been done before. 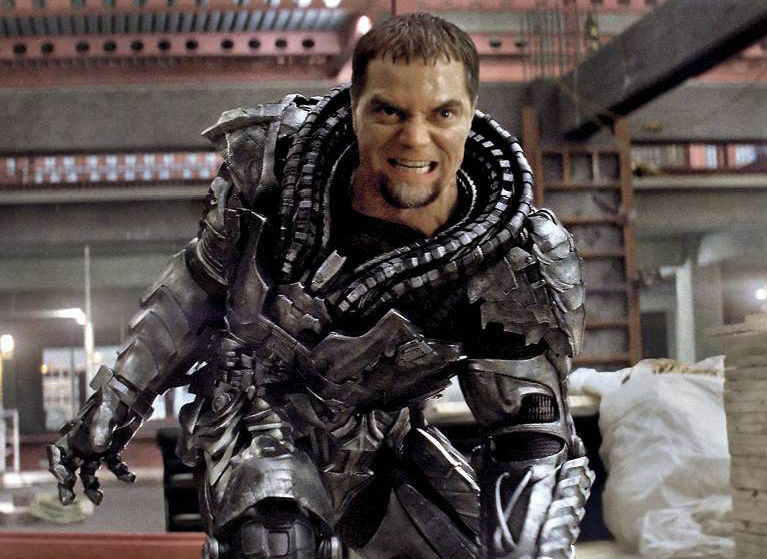 But what really sold Man of Steel to me was the sheer calibre of the acting on show. Everyone is pulling their weight and then some. Let’s, naturally, focus on Clark / Kal-El / Superman himself: Henry Cavill. This guy is perfect for the role – from his astoundingly broad-chested physique to his mannerisms and relatability. I was totally sold on Cavill‘s performance and can’t wait to see him return. My next favourites in the movie? Easily Costner and Crowe. I’m a big Russell Crowe fan, and once again he showed his acting chops off really well, as did Costner; giving one of his best performances in years. There wasn’t a single weak link in the line-up of main actors here. That’s hard to achieve! 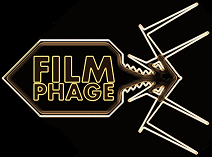 As I mentioned earlier, the flaws with the film – for me – were the plotting (fairly obvious) and sometimes very dry tone. I’m not expecting Iron Man-esque laugh out loud moments, but it was the inclusion of two or three obvious spoken jokes that had me cringing. They fell so flat and left me feeling awkward. Some have bemoaned the lengthy running time, but I’ll disagree with them; I thought it worked well at its current length. Sure, there was probably one fight too many in the middle section, but I was entertained and that’s what matters with comic book movies isn’t it? On that note, I also felt the climax of the movie – the “big bad event” was fitting and felt suitably menacing. I’d argue it was a far bigger threat than The Dark Knight Rises or The Avengers could muster. It’s nice to feel a true threat… even if you had no doubt about the ultimate outcome! Also, I need to mention just how it looked… fantastic. Snyder does have a flair for filming beautiful looking scenes and Man of Steel doesn’t disappoint. I felt the sheer scale of his universe and felt drawn into it entirely. 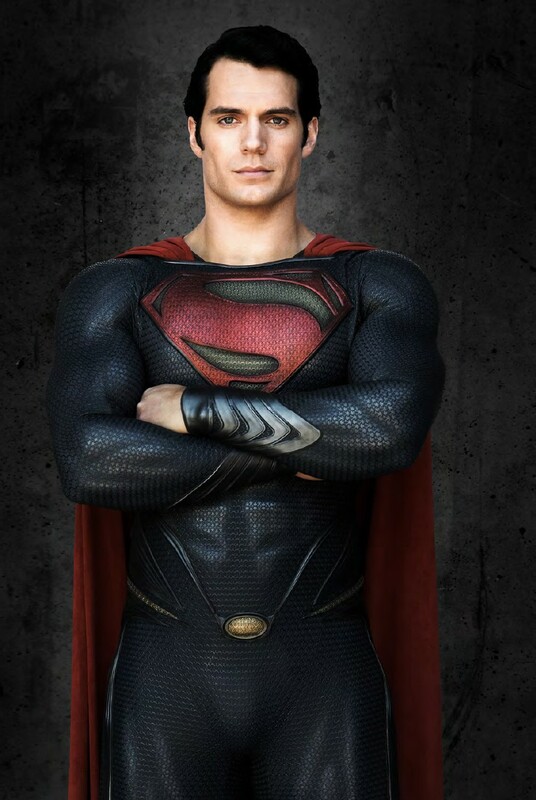 As I say, I can’t wait for the already announced Man of Steel 2… although I hope it’s not called that! 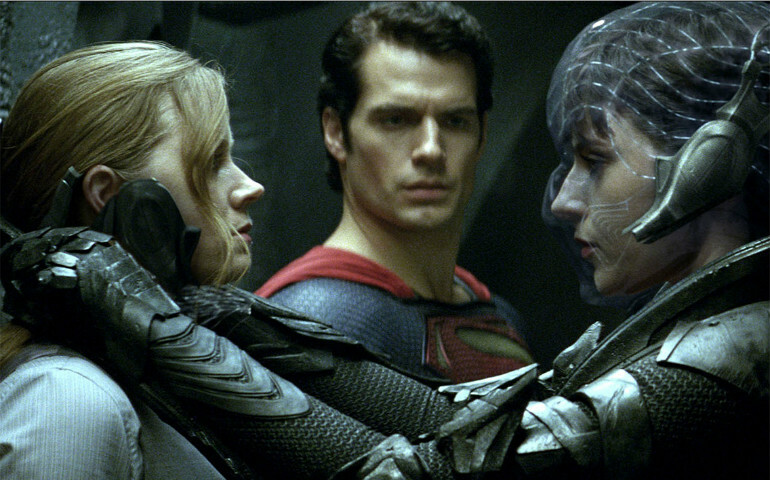 Man of Steel is the Superman movie fans have been roaring out for for years since the weak Superman Returns. Finally, arguably the most famous superhero of all time has a film to be proud of. The reason this film works so well is the way in which it’s an origin story, but told in a nicely succinct way, and the sheer calibre of acting talent on show. Cavill is the perfect Superman and his supporting cast are all firing on all cylinders. Although the film’s not perfect, and arguably not as fun as Marvel’s current stable of characters, it bodes well for the future of the franchise. I love watching actors do press for their latest releases. Not just because it’s a chance to see them talking outside of their roles / hyping up a film that I may or may not give half a damn about, but because of how they “act”. It’s very telling when you see an actor looking unexcited about a project. Generally, that film isn’t going to be worth the film its burned onto. Yes, I’m looking at you Bruce Willis in your TV interviews for A Good Day To Die Hard. You looked disinterested, and boy was I disinterested in the final film. So when I saw Mark Wahlberg on British TV, getting all drunk and lairy when promoting Broken City… well, I knew I had to see the film. Before I get into the nuts and bolts of the review, I want to dwell on Wahlberg‘s appearance on a show we have over here called The Graham Norton Show. His fellow guests? Sarah Silverman and Michael Fassbender. These aren’t two unknowns; especially Fassbender who’s now arguably bigger than Wahlberg both sides of the Atlantic. The video above is taken from YouTube and showcases the best bits. I really recommend watching it, as Wahlberg is hilarious / infuriating and gets more rowdy as the video progresses. I loved his drunken approach to selling a movie. Television gold. Seriously, watch the above video. It’s worth it! Even if you just skip to 11min in, it’s worth it. So, what is Broken City? Well, I’m happy to report that Mark Wahlberg actually starts the movie “on the wagon”… so maybe he was playing this up? Or maybe he just loves the claret? Who doesn’t? The movie focuses on Billy Taggart (Mark Wahlberg) an ex-New York cop who’s now living out his days as a private detective / snoop for anyone that’ll pay him. He’s suddenly offered business by the Mayor of New York: a Mr. Hostetler (Russell Crowe). The task? Spy on his wife (Catherine Zeta-Jones) who he suspects of cheating on him. Simple enough? Now add in the backdrop of this being during the election campaign in which Hostetler seeks to retain his role in the city. But things aren’t always as clear as they first appear. There’s a hell of a lot of dirt in this Broken City. Yeah, I probably should write promo spiel right? In between slurring and interrupting guests, Wahlberg pitched Broken City as an old school film focused on a character driven plot. And he’s right. The film is very much driven by its protagonists and does very well from it. Especially for the first half of the movie. Now, I thought this first half was pacey, had a clear narrative and some really involving characters. The second half? Wow… things quickly became clouded and more and more plot points got thrown into the mix. So much so that I feel it detracted somewhat from the main themes of the film. What the film did do well was characterisation, so I’ll hand it to Wahlberg there. I thought his and Crowe‘s performances were great. They were never going to set the world alight, as neither stretched themselves to any degree. In fact, you could argue that Mark Wahlberg was once again playing Mark Wahlberg… but I’m cool with that. I can relate to the guy for some reason. He’s an every-man. And Crowe? Well, as you’ll remember from my Les Misérables review, I just like the guy. Having said all that, the film is “light” and the plot “twist” can be guessed within the first 10 minutes of the run time. This isn’t a great asset for a thriller. You want suspense, you want shock, you want to be guessing “what if?” But with this, you can pretty much surmise how things will turn out. It’s a shame, as I think deep down there’s a great film here. I liked the character-driven focus of the film, as opposed to a number of big, dumb set pieces where cars blow up or fly off freeways. I’m bored of that (although Michael Bay isn’t, so it would seem). If only the film had a deeper narrative then there’d really be something to rave about here. Broken City isn’t going to set the world alight, nor is it going to be elected to the role of Mayor… if films could be elected Mayor! The film is driven admirably by Mark Wahlberg and Russell Crowe, but is let down by a predictable plot. You really can’t be doing with a weak plot when you’re dealing with a thriller. The clue’s in the word “thriller”. You need to be “thrilled”. 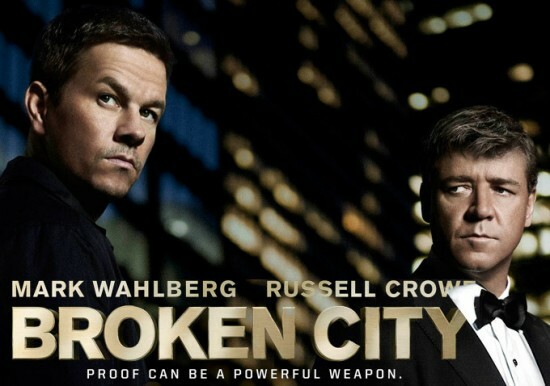 Unfortunately, Broken City was mostly filler in the latter half, and not much thriller. Clever what I did there, right? So it looks like Mark Wahlberg‘s appearance on British TV was incredibly representative of the film as a whole. It started off promising and had a coherent narrative that made me keep watching, but as the film / interview progressed, the plot / Mark gradually became far less discernable and increasingly distracted by what was going on around it. It just goes to show that you really can judge a book by its cover film by its press coverage.